ORLANDO, FLA. (September 17, 2018) – Taste! Central Florida presented by Uncorked Gourmet celebrated its 29th year by raising $252,031 to support the childhood feeding programs and services of Coalition for the Homeless of Central Florida and Second Harvest Food Bank of Central Florida. More than 50 of the area’s most distinguished chefs along with 24 premier brewers, distilleries, wine purveyors, and specialty beverage vendors came together at the Orlando World Center Marriott on Sept. 8 to tantalize nearly 2,000 guests with sips and samples to help ensure no child grows up hungry in Central Florida. Beyond the culinary and beverage offerings, guests enjoyed live music provided by NüBeat and an exciting silent auction featuring signed memorabilia, stays at upscale resorts, dining experiences, rounds of golf on area courses, and exotic adventures and getaways. The event’s popular Instant Wine Cellar game awarded more than 150 bottles of wine valued at $3,000 to one person who purchased the winning key that opened the wine door. The Giving Tree, sponsored by Edible Orlando, rewarded participants with a taste of Orlando’s most popular dining and drinking establishments. For a $50 donation, each participant walked away with a gift certificate ranging from $25 to $250 in value. The Ring Toss for Wine fundraiser was met with enthusiasm by hundreds of guests who tried their luck at winning fine bottles of wine valued up to $50 by landing rings around the neck of a wine bottle. The all-new Liquor Locker awarded a stock-the-bar set to one lucky winner, which included dozens of bottles of premium liquors, mixers, bar-themed accessories, and cocktail recipe books, valued at a total of $2,500. Taste! Central Florida was held this year during Hunger Action Month, a national movement held in September to raise awareness around the hunger-related issues that affect communities across the nation. Since making the decision to operate as an independent event last year to advocate solely for hungry and homeless children in Orlando, Taste! Central Florida has been able to make an even greater impact to assist the one in four kids locally who struggle with hunger. The funds generated by Taste! Central Florida this year will help Coalition for the Homeless of Central Florida provide shelter and services to more than 140 children and their families each night and serve more than 250,000 nutritious meals in the coming year. Second Harvest Food Bank of Central Florida secures and distributes food and grocery products to approximately 550 local nonprofit feeding programs throughout Central Florida. Funds from Taste! Central Florida will help the agency allocate more than 50 million meals to partner programs such as food pantries, women’s shelters, day care centers, and Kids Cafes. 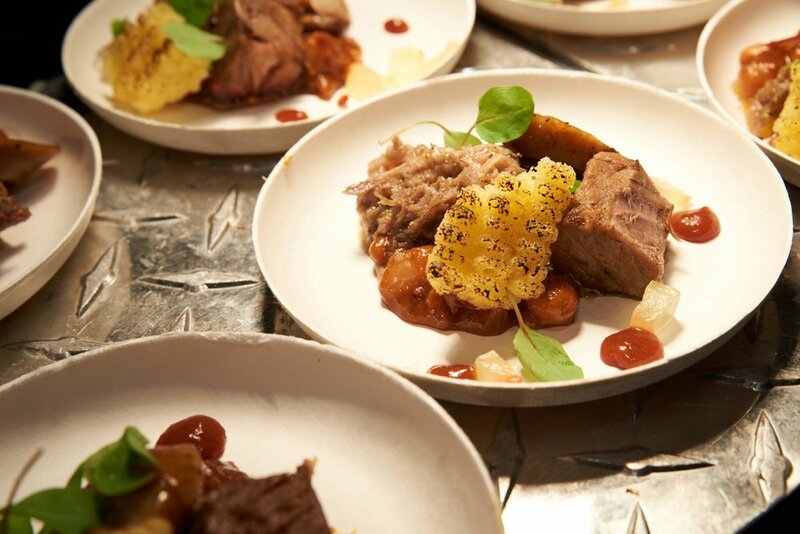 One of the region’s longest-running food and beverage fundraising events, Taste! Central Florida is a volunteer-driven event organized each year by an all-volunteer steering committee representing a variety of local businesses and organizations, supported by more than 300 day-of event volunteers, and made possible by the in-kind support of a variety of local business partners. This year's Taste! Central Florida was presented Uncorked Gourmet. Special thanks to generous sponsors Darden Restaurants, Regions Bank, Rosen Hotels & Resorts, Noble Marketing, AmeriFactors, Disney, FreshPoint, MetroHealth and Visium Resources. For our complete list of sponsors, please visit tastecfl.org. We also recognize the substantial support of Orlando World Center Marriott who has donated the event space for the last nine years, Curtis 1000 who has donated their printing services for the last 17 years, Day Entertainment & Events, Airstar Space Lighting, Chic!, Peyton Entertainment, Gifn, See Magic Live, Edible Orlando, Entercom MIX 105.1, and WFTV 9 Family Connection.